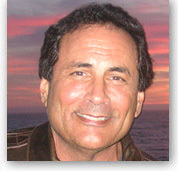 Dr. Robert Dee McDonald, Author and international seminar leader, is the creator of The Destination® Method, which offers a pathway to personal transformation at the physical, emotional, mental and spiritual levels of consciousness (see the Destination® Method Page). Within The Destination Method, Robert created many models, including The Pathway to Purpose; The Seven Levels of Awareness, Virtues and Shadows; The Evolution of Genius; The Evolution of Self; The Seven Levels of Creation; and The Developmental Model. Before his creation of TDM, Dr. Robert was a Master Trainer and early developer of Neuro-Linguistic Programming. As such, he is a pioneer in the fields of addictions, co-dependence and spirituality. He wrote Tools of the Spirit: Pathways to the Realization of Universal Innocence, (Meta-Publications) with Robert Dilts in 1997. He also co-authored the best selling book, NLP: The New Technology of Achievement (William Morrow, Publishing) while writing Creating High Self-Esteem for Insight Magazine. He is also the co-author of two Nightingale-Conant Audio CD Albums: NLP: The New Technology of Achievement and Success Mastery With NLP. In addition, Dr. McDonald created The Releasing Emotional Enmeshment Process, the only NLP procedure specifically designed to resolve addictions and co-dependence. It is featured in the NLP classic text Heart of the Mind and in John Bradshaw's Homecoming. Robert is also the creator of the The Kinesthetic Swish Process; The Self-Love Process; The Sanctuary Process; The Father Yes - Father No Process; The Good Mother - Bad Mother Process; The Self-Parenting Process; The Coupled Heart Process; The Forgiving The Unforgivable Process; The Healing Yes, Healing No Process; The Mission Detection Process; The Charismatic Self Process; The Womb of Wisdom Process; The Activation of the Creative Order Process; The Faith of a Mustard Seed Process; and many more. Since early childhood, Robert has been fascinated with the nature and structure of deeply meaningful personal change, as well as how and why people express themselves. After resolving his own grief over his father's suicide, and while earning a Master of Science Degree in Counseling and Mental Health, Robert wrote a manual for psychotherapists that prescribed specific methods to effectively resolve the grief felt by survivors of suicide. Today, having earned a Doctor of Divinity Degree from The Emerson Theological Institute, Robert continues his commitment to the practical application of the transformational aspects of psychology, language, spirituality, and singing. As a professional lecturer on interpersonal communication and mental health skills for over 35 years, he has taught thousands of people from all walks of life, across the USA and in 18 countries around the world.